CORTO SAFARIS is a french and tanzanian partnership registered with the Tanzanian Ministry of Tourism since 1994. Our team is led by Hellen Mchaki and Gérard Blénet. Native Tanzanian from Chagga people, she has lived since her childhood at the feet of the beautiful Kilimandjaro. Open minded and very attracted by old Europe, she travels a lot in this area. She holds a Political Sciences Diploma and was graduated in 1991 from Dar es Salaam University. Fluent in French, English, Swahili (without mentioning Chagga), she is fond of her country. She has chosen to make people discover her land and especially foreigners that like adventure in the wilderness. She is the one you will meet at Arusha on the day of your arrival and she will take care of you during your stay. The founder of Corto Safaris, a lover of Africa, its spaces and its nature. 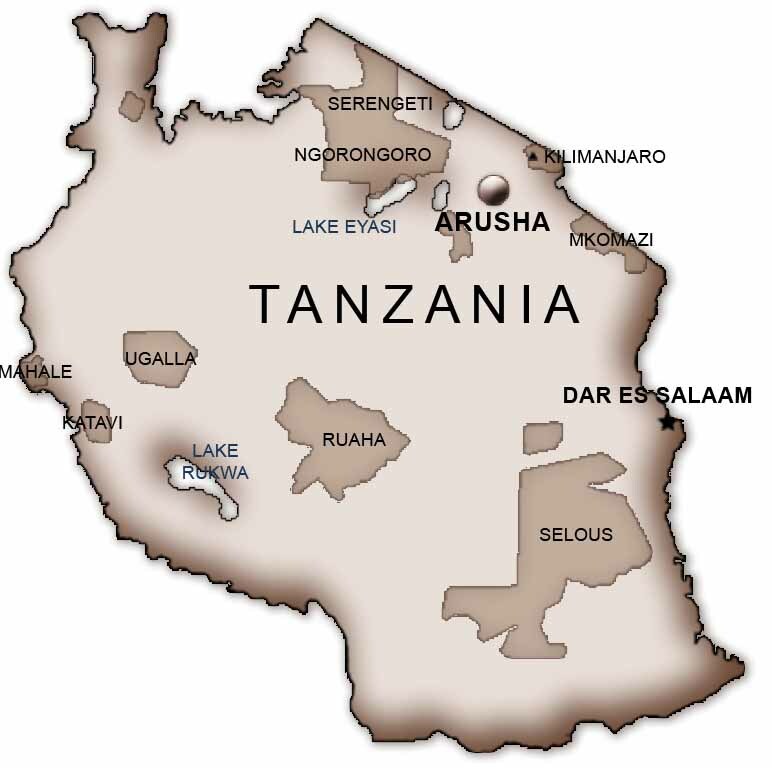 In 1981, he plans trips on the African continent and falls in love with Tanzania… Teacher at the Dar es Salaam University from 1987 to 1993, Tanzania has become his land of adoption and Swahili a second language as well as English. He lives at the feet of Kilimandjaro and he is awaiting there all the addicts of African adventures. He his your guide for your trails to Lake Tanganyka and through the National Reserve of Katavi . He organises all your excursions and uses his energy and knowledge of the country to arrange the trail of your dreams. He participates with our specialists, to the required identifications for the making of movies and documentaries about wilderness. His knowledge on local languages and Tanzanian ethnies will be very useful to you for the subjects you would like to show on TV or movie. Besides the 2 directors, the team is also made of 50 permanently employed Tanzanians (driver - guides, staff on the camps, mountain guides, mechanics, cooks, office staff...) and staff under temporary contracts (game scouts, assistant guides, porters). They all have been trained by Hellen and érard. They also pursue further education during the low seasons may it be in the context of wildlife knowledge or foreign languages for example. Everyone in their own domain, is a specialist. It is this combination of people that makes your trip a success. Some guides have been with us since our beginnings, and it is thanks to them that Corto has been able to develop while preserving its identity and the spirit that has made our success. They will be the ones greeting you upon your arrival, and they will ensure your holiday goes smoothly until your departure. Their knowledge is vast and their devotion is without limit. Do not hesitate to ask them, suggest them, they are there to satisfy you.